Occasionally, a user will have a need to restart the Decisions Service. This can be to install a new feature, update settings or web configurations, or even recover from a frozen state. This can be done one of two ways, with portal actions or through Services. 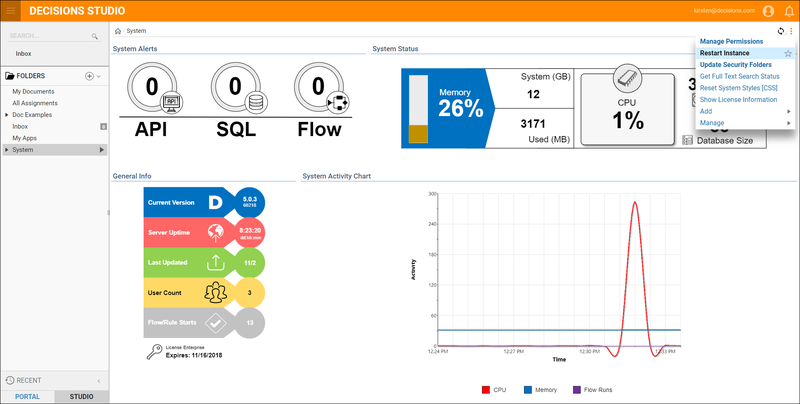 As an Administrator, navigate to System select the portal action menu then select Restart Instance. A dialog will show asking for a reason for the restart. Select RESTART. Once that dialog closes, a Server Restart	notification will show. Users can select this notification to restart the instance at a different time other than the default 5 minutes. Selecting Will Restart Manually	will cancel the restart and allow users to restart SHM another way. 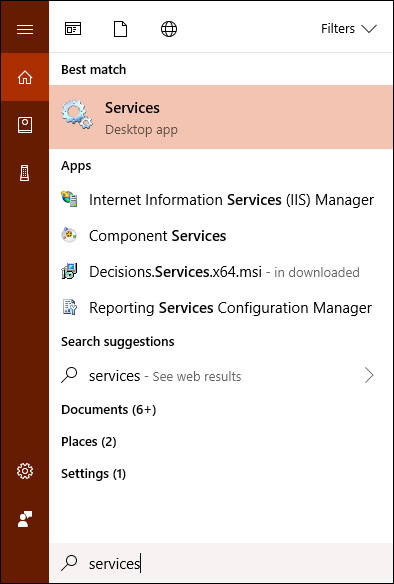 To restart manually, open Services. 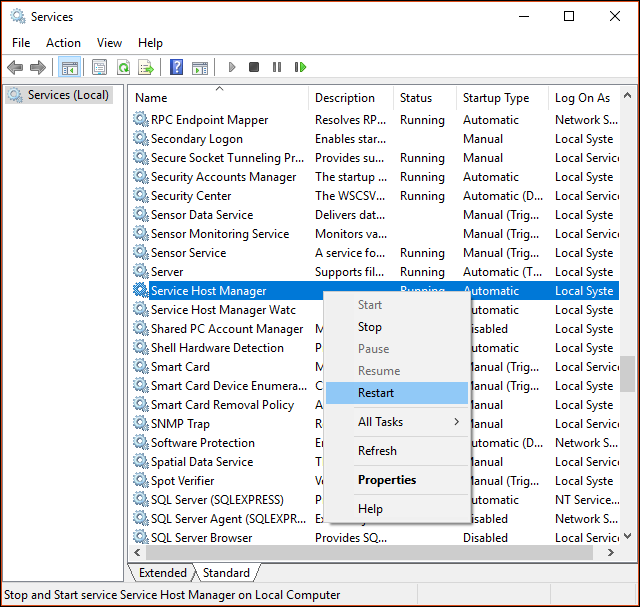 Scroll down toService Host Manager,	right click and within this menu select Restart.